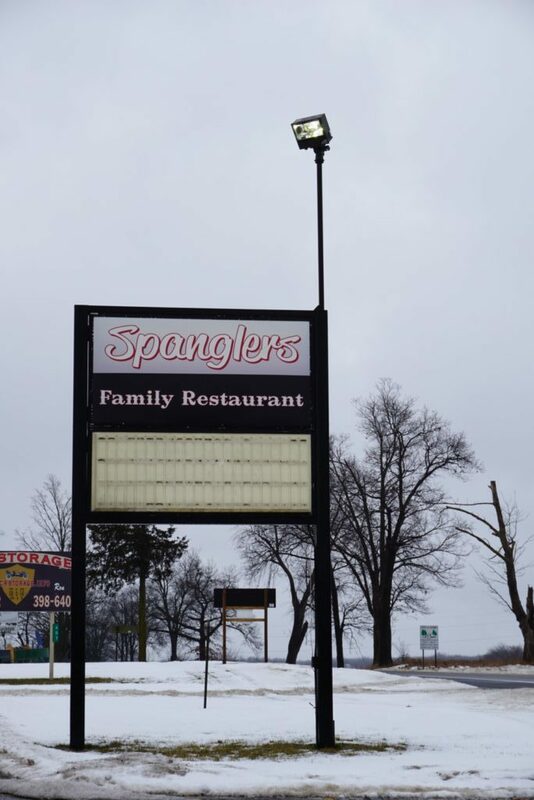 A local staple of Jonesville for over two decades, Spangler’s Hilltop restaurant recently moved across town to a new location. Now sit­uated at 601 East Chicago Rd. on the east city limits, the restaurant sits 1.5 miles from its pre­vious location. 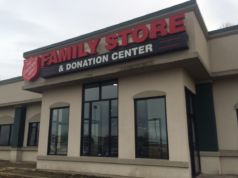 With the move, Spangler’s has expanded its capacity for cus­tomers from 50 people to 80 people. With wide windows revealing a view of rolling fields across the road, the restaurant is well-lit and shining new. Dark-red wain­scotting and black fur­niture com­plement the weathered wood floors and steel trim. A family-run business, the diner has always remained with the Spangler family. Mitch Spangler, the current owner, said his parents, Gary and Joyce Spangler, opened the restaurant in 1996. Since Mitch Spangler’s son has worked there for six years, the restaurant has three gen­er­a­tions of family involvement. “Each meal is indi­vid­ually pre­pared and cooked to order,” Spangler said. Spangler’s is known for its from-scratch cooking. The home-style cooking extended into the atmos­phere at the restaurant. During my visit, the wait­resses asked detailed ques­tions, making sure the breakfast was cooked just as I wanted it. “We fresh-cut french fries, and all of our burgers are hand pattied from the butchers, not frozen,” Spangler said, adding that they have not shrunk por­tions in 20 years. The restaurant draws patrons of all ages. A family with children sat close by, while an elderly couple were served pie at a table to my right, and a young couple chatted over coffee in the corner. Spangler’s employee Eliz­abeth Magaña said that cus­tomers return often, not just because of the quality food, but because of the good cus­tomer service. She has worked for Spangler’s in the past before returning for the past four months as an employee. She said that every time she tries to retire, she comes back, noting the close and friendly nature of the restaurant. Cus­tomer Robin Esham has been coming to Spangler’s for years, and said she loves the new location. Spangler’s offers daily spe­cials, such as fish-fry on Friday nights, all-you-can-eat with spare bar­becue ribs, and but­terfly shrimp on Sat­urdays. They serves breakfast all day and “good old fash­ioned comfort food just like grandma would make,” Spangler said.